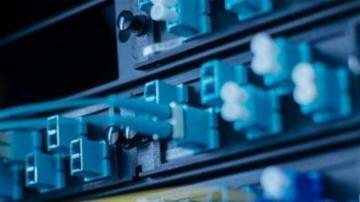 I would like to know how to manage patch management (eg. a group of servers with different flavours of operating system). Also how to re-check updates after the first patch of updates have been installed. Also how to force check back to reporting services to gain accurate result if they are compliant or not. I want sum of Count column, can you please share expression for this or how to do this? 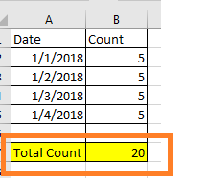 the number of rows of date and count column is not fixed, it will vary every day. I am trying to run Tableau 1.5. I get the error api-ms-win-crt-runtime-|1-1-0.dll is missing. I have tried a number of fixes and nothing has worked. The solution John gave worked on one computer, but not the other. Sorry to post this twice. I'm upgrading from an older (5.1) version of Jasper Reports in my java project. I've re-compiled a report in the new Tibco Reports Designer. When I try to run it, or any other report, I get no output. I downloaded and compiled the jasperreports 6.0.2 source and am using it for debugging the problem. I've included a screen shot of the last statement that tries to execute. It's line 823 in JasperCompileManager in function getCompiler. This is a working app and I believe I've updated all the required libraries. I don't catch any exceptions (at least not any I'm expecting) and the program returns to my finally statement after trying to run the jasper report. The only other thing I can add is that if I hover over the JRCompiler item in the previous sentence it says, JRCompiler is not a known variable in the current context. Not sure if that helps. It also doesn't hit the catch (Exception e) statement it just fails. Not sure how to progress from here. Cognos 10, Oracle database. Situation is that a list inside a table is repeating itself and I'm looking for a way to not have it repeated. Is there an option in the properties page that might need enable or disable to resolve this issue. Please see attached image. Need help creating an API call in Power BI to retrieve data from a specific vendor. I previously was able to create a working API call using Power BI to a different vendor. Note: Username, Password and OrgID were substituted out in the above example. While there are several way to retrieve this data, we want a consistent method. We would like to use an API similar to the above to retrieve any data table into Power BI. I am working on a VBA app and need to setup a reporting system to query my db and return some result based on user's preference. However, I want my end users to be able to export this report to excel or even send to their email. I will appreciate if you have experience with this procedure with VBA. SSRS Grand Total calculates only pages that have been viewed. HI there, I am using SSRS and have a problem where my grand total on the last page of the report will only calculate the the times of the pages that have been shown. In other words, if its a 3 page report and I run it and view the first page then skip to the last it will calculate the first and the last missing out page 2. If however, I run the report and go through each page using the next button it then calculates the total correctly. My total is a SUM of a previous total and both are code elements within the report, after doing a bit of research I found out that this is why, the code elements only fire on the page that is in view. How do I get the 2 code calculations to produce a grand total correctly without having to scroll through each page? I am using Graphana on Elasticsearch to show % pass/fail in weekly reports, I can get Pass/Fail from the Pie chart but not in Stacked bar graph ..
Is there any plugin which i can use to get the pass fail percentage in Bar Graph. I am trying to display a report, I have a stored procedure that requires 3 parameters. I am also using EF6 to push and pull data but I don't seem to be getting any data back to my report data source. In my edmx file I see the SP in the functions folder and can pull scheme info. Here is a shot of the report data source.